The way that you sit or stand can have a dramatic effect on many parts of your body. Without good posture, it is possible to develop pain in the lower back, hips, knees, and ankles. If you think that your posture could be negatively impacting your life, call Moramarco Chiropractic in Woburn for an appointment today. 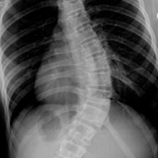 As a result of Dr. Moramarco’s experience and extensive work with scoliosis in adults, he has developed an intuitive sense for the nuances of posture and pain. This clinical experience has allowed the doctor to help people with straight spines who have posture problems. If you think your spinal posture is causing you pain, postural rehabilitation may be the perfect, all-natural treatment you need. Our chiropractic care experts use gait analysis to evaluate for pronation, supination, and other issues that emanate from the lower extremities and cause chronic pain in the lower back pain or throughout the body. Each postural problem can create its own unique set of circumstances, so please contact us for a consultation to learn more. When you choose Moramarco Chiropractic in Woburn, you will always receive care that is based on practiced methods that have show to be effective through years of experience. We would love to help you find natural, non-invasive treatments that will allow you to live a happier, healthier, and more productive life.